The number one place to go for all of your SMS news. Receive an email when we post. Today was the 5k! Many students have been training for a couple months and they wouldn't let a little rain stop them! For the boys, the fastest time was run by Stephen with a time of 20:45, and for the girls, Lindsey got the time of 21:04. Congratulations! 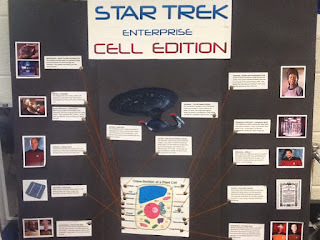 Students in 7th grade science have finished working on their cell analogy projects. They had the choice of 5 different projects or the option to create their own project. The students were very creative in developing all different types of projects including a rap music video, a Mine Craft map, a play mobile airport, movie of a One Direction concert, and a cell game. Here are just some of the projects created by the students. Think fast! 12+9, 5x8, 16/4! Were you able to get each fact in under a second? As students and parents alike know, many SMS math classes are beginning to use Reflex as a teaching resource to help kids learn their math facts, so they will be able to answer any question automatically. 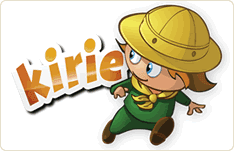 From the Reflex math website, "Reflexis a game-based system that helps students of all ability levels to develop instant recall of their basic math facts (addition, subtraction, multiplication, and division). Math Fact Fluency is the quick and effortless (automatic) recall of basic math facts." The students have to answer math facts to go through the games, which are listed below. They can create an avatar, buy accessories, and grow a math fact tree. The Mr. Taylor's sixth grade class was solving a mystery. Each group was working as a detective agency. They had to answer three questions to help them to guess who the phantom was. Mr.Taylor's students used their math skills to decipher clues left in newspaper articles, journals, and maps from the town. They used measurement skills, pattern skills, reading skills, and inference skills.